Explore Ireland's incredible beauty and history with other geeks. Surrounded by 2 acres of landscaped private gardens, Stoop House (ours exclusively for the event) provides secluded, wooded countryside accommodation for us. Great views of the mountains & valleys can be had to the rear and the forest to the front, with miles of forest trails. Outside to the rear there is a moated bar with seating and cover and a large garden with plenty of space to decompress, read a book, or go for a walk. There’s also a small waterfall and pond. This day is devoted to casually enjoying Dublin. 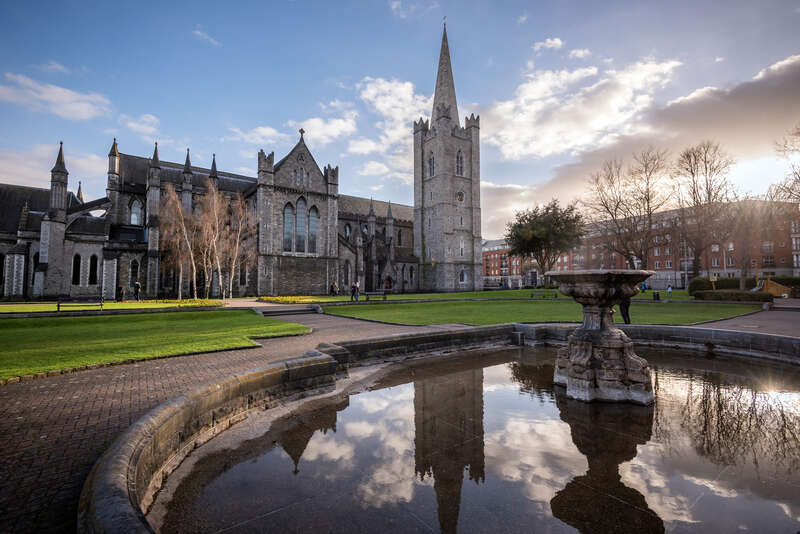 We’ll arrive at Dublin airport by 9am and make our way to our executive coach for a short transfer to Dublin city (for those arriving earlier and staying in the city, we’ll have a meeting place in city center at Nassau Street). We’ll stroll into the Trinity College campus, one of Ireland’s and indeed Europe’s most prestigious universities. As we leave through the front gates, we’ll see College Green, Temple Bar onto Dame Street, up to the famous statue of Molly Malone and stop for coffee/tea and pastries along the way. We will finish in St Stephen’s Green, a wonderful public park in the middle of town. Total time 1-1.5 hrs. From there, we’ll board our coach for a panoramic city tour of Dublin (or a quick snooze if you’re just off a plane from the US), on the way to Guinness. After stopping at St Patrick’s Cathedral for a private tour, we’ll make our way to Guinness Storehouse for another private tour and a pint at the gravity bar (included). Finally, we’ll make our way to our accommodations, unpack / relax for the evening, and have dinner together. Today will be all about the heritage of Irish whiskey. 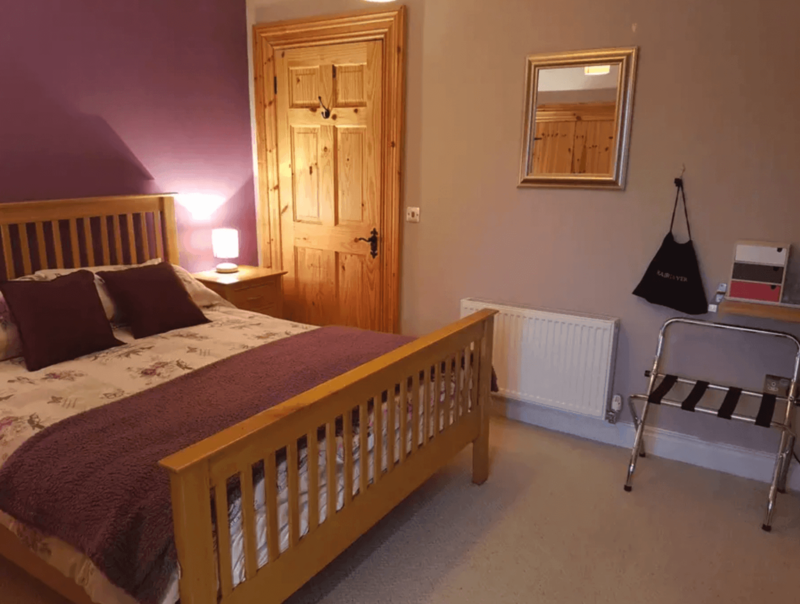 While a day of relaxing countryside views and touring is included, feel free to skip the tour, and spend the day relaxing at Stoop House. After breakfast we’ll head to Powerscourt Distillery. Formerly the hub of all farming activity on the Estate, the Old Mill House is being faithfully restored and will house the distillery which you will enjoy in all its glory. Tastings of the distillery’s Fercullen range of whiskeys included; Premium Blend and 14 year old single malt (or 10 year old grain). 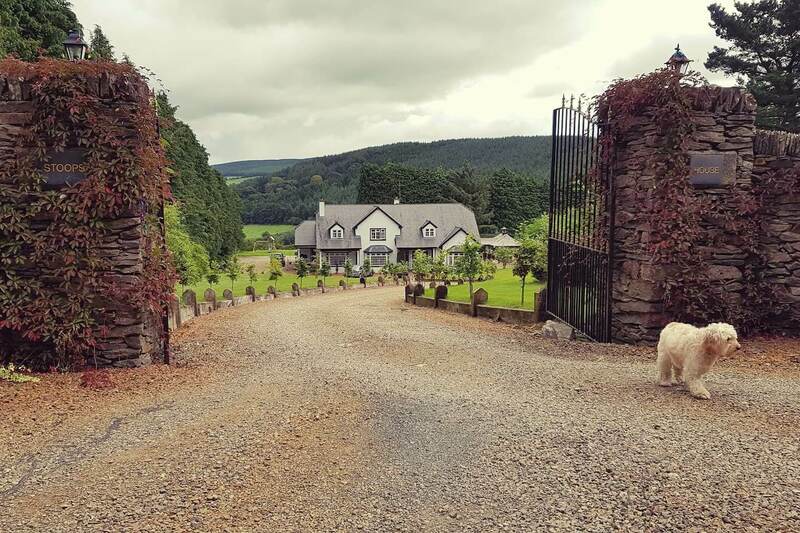 En route to the Walsh distillery, sit back and relax as we take the scenic route through beautiful County Wicklow, known as the ‘Garden of Ireland’. We’ll take a short stop at Glendalough en route, and learn a bit about this historic 6th century monastic site. After our stop at Glendalough, we’ll arrive at a majestic 18th century estate Royal Oak, County Carlow. 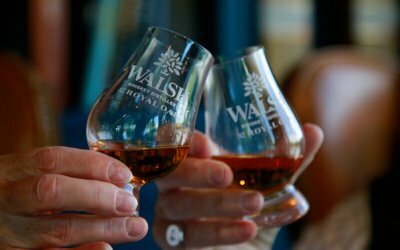 Royal Oak was handpicked by Bernard and Rosemary Walsh to be the home of Walsh Whiskey Distillery. We’ll enjoy a private guided tour of the distillery and afterwards try one of their award-winning whiskeys, The Irishman Founder’s Reserve or Writers’ Tears Copper Pot. Finally, we’ll head to Ballykeefe Distillery, an artisan Irish family farm distillery. We’ll enjoy a tour through the farm’s mill house, to the brewhouse, to the copper pot stills, to the warehouse where their whiskey is still sleeping soundly. Final stop, tasting rooms — (transformed from the horses stable) where we’ll sample Ballykeefe’s own Gin, Vodka and Poitin. By late afternoon we’ll be headed back to our accommodations for some relaxation and dinner. Not into whiskey? No problem. Enjoy the grounds of the Stoop House, read a book, or go on an afternoon hike! Today is all about exploring our surroundings. We’ll wake up to a casual breakfast and find our way to some of the hikes nearby in Tomnafinnoge Woods. 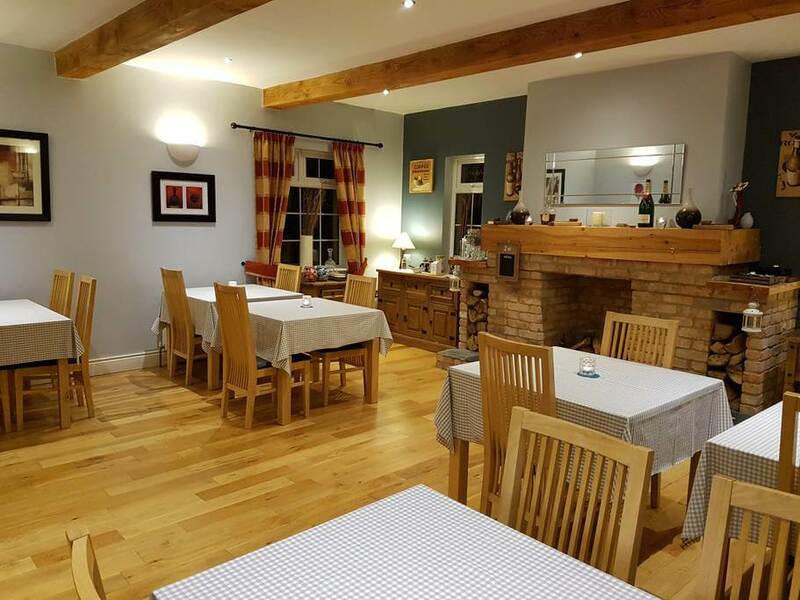 We’ll explore the ancient oak forest together (for those looking for a long walk), and meet up at the Big House for a pint, games, and an enjoyable cap to a relaxing day. After a casual morning and breakfast, it’s time to live like a local and visit the village of Shillelagh. We’ll travel by foot to explore the town and visit the famous Olde Shillelagh Stickmakers store. Duck into a local pub and enjoy some color flavor. Today is a day to take in your surroundings and meander. Time to explore the coast and learn about the 5000 years of Irish history. Want to explore more around the Stoop House grounds? This tour is optional (but included). We’ll head down into Wexford to the Irish National Heritage Park for a private walking tour. The park is a 9 acre woodland dotted with reconstructed houses dating from the neolithic period to the Viking Longhouse. We’ll finish in the Royal House to learn about what life was like for the Vikings when they arrived. We’ll make our way from Heritage Park to Loftus Hall, the most haunted place in Ireland and learn about this storied place. Finally, we finish at Hook Lighthouse for a special after hours tour. After a Mead reception in the Lighthouse keepers cottage, we’ll enjoy a tour of the Lighthouse. Cloudy or fair, we’ll enjoy a spectacular view and might be extra lucky and catch a pool of Dolphins or a whale swimming by. We’ll finish with a seafood (with vegan options) meal in the Watchtower. Then it’s back home to our accommodations for one final night! Your flight is not included in the ticket price (Aer Lingus, the flag carrier of Ireland, has direct flights from New York for $638 during the event.) Plan to be at the Dublin airport at 9am for pickup on June 10th and depart no earlier than 1pm on June 15th. Enjoy a comfortable room appointed with linens and modern bathrooms. We’ll have plenty of room to get together as there are common areas inside and outside of the house. Accommodations are double-occupancy with 2 and 1 bed options (rooming preferences will be collected after signup). Wifi is available for those that need to check in.